What with Valentine's Day this weekend I decided to honor the Holiday by watching a weekend full of Romantic Comedies. It was of course my wife (girlfriend at the time) that first got me watching Romantic Comedies. And I have been enjoying them every since. But even to this day (just over 14 years after my wife passed away) I still think of her every time I watch one. I been looking forward to watching this marathon so long that I decided to make it a special 4 day weekend and make the marathon last from Thursday to Sunday. I also decided to make this one not only include my DVD collection but Cable TV and On-Demand as well. So if you see any above you would like me to review... just ask and I will do my best to get to them within this marathon. And Yes Tom... I will be sure to get to Imagine Me & You. Sandra Bullock is at her funniest in the fresh, laugh-out-loud romantic comedy The Proposal. On the verge of being deported and losing the high-powered job she lives for, the controlling Margaret announces she's engaged to her unsuspecting, put-upon assistant Andrew (Ryan Reynolds). After proposing a few demands of his own, the mismatched couple heads to Alaska where they have four short days to convince his quirky family and a very skeptical immigration agent that their charade is real. Featuring a star-studded supporting cast, including Mary Steenburgen, Craig T. Nelson and the delightfully inappropriate Betty White, this madcap comedy will have you saying "yes" to The Proposal again and again. This movie here is the main reason I wanted to start my marathon a little early this weekend. As I am a fan of both Sandra Bullock and Ryan Reynolds, I been really looking forward to this movie since the first time I saw the trailer for it. Going into this one the hardest part for me was not having my hopes up too high. And I think I managed that as I found I enjoyed this movie very much. I think the funniest scene in the entire movie was the shower/running into each other naked scene. Basically the only scene I actually laughed at in the movie. But I do believe a romantic comedy isn't so much about actual laugh out loud moments. More about a lighthearted look at falling in love. Sure... the ending is predictable. But once again I believe that is to be expected with romantic comedies as they are not about the ending... going in we expect the ending... it is about the journey of how they get to that point. Over-all looking at this movie I just find a fun story. I enjoyed both Sandra Bullock and Ryan Reynolds in this one. Though I do think they wasted the talents of Betty White. They could have done a better job on her character. Though it was kinda funny seeing her dancing and chanting in the woods. In this charming romantic comedy, a brilliant but lonely biochemist (Tate Donovan) gets a mysterious potion from a gypsy who guarantees it will turn his life around. After showing it to his co-worker (Sandra Bullock), a shy animal psychobiologist, they achieve amazing amorous results in a chimpanzee experiment. Now the only way to see if it works on humans is to test it on themselves. After that last movie I felt like watching another Sandra Bullock movie. And this is the only other one I have in my collection I never seen before. I found it to be a decent movie... though there really nothing special about this one. There was something about Tate Donovan I didn't care for... which makes it a little hard to enjoy something like this since you don't care for one of the main 2 of the movie. Other then that... the story even though fun... is a bit out there. I did like Sandra Bullock in it though. So is this a romantic comedy marathon...or a Sandra Bullock marathon? Oh yeah... I could think of worse things then spending Valentine's Day weekend with Sandra Bullock! I know of a lot of people that dislike Adam Sandler... but I personally have always enjoyed his movies. I also have enjoyed Drew Barrymore in most the stuff I have seen her in... so when I saw this one in the bargain bin of the local Wal-mart I was pretty quick to grab it. I know I have seen this one once before when it was first released... but really don't remember much about it. But I was pretty sure it was one I enjoyed. After watching it today I realized yes I did enjoy this movie... Very much so... even more then I remembered! It is definitely a more mature comedy then a lot of other Adam Sandler movies. Drew Barrymore was great as the cute and sweet girl next door with no short term memory. I also loved how they ended this movie. They opted to make it more realistic instead of trying to pull off some sort of miracle cure for Lucy. Was there anything I didn't like about this movie? Sure... there is the walrus vomit joke which would have fit in many Sandler movies... but just didn't belong in this one... then there was Lucy singing the Beach Boy Song with a terrible (hopefully fake) singing voice. And lastly I didn't care much for Lucy's brother. But all that is really minor... and didn't ruin my enjoyment of the movie much... if at all. I would say even if you do not usually enjoy Adam Sandler movies... give this one a chance... you may be surprised. Note to Jimmy: This is a recycled review... but with some extra info so you can just switch the links for this one. OK however you want to do it works for me. Oscar® nominee Kate Hudson (Almost Famous) and Matthew McConaughey (A Time to Kill) give the battle of the sexes an outrageously unexpected twist in the runaway comedy hit the Daily News applauds as "Hilarious!" As the "How to..." columnist for trendy Composure Magazine, Andie Anderson (Hudson) agrees to write a first-hand account about what it takes to drive a man out of your life...in exactly 10 days. At the same time, eligible ad agency bachelor Benjamin Barry (McConaughey) accepts a high-stakes bet that he can lure any woman into falling head-over-heels in love with him...also in 10 days. The resulting romantic head-on collision ignites a series of deliriously comic deceptions that prove when it comes to true love...your heart cannot tell a lie. From the director of Miss Congeniality, it's the year's most wildly entertaining romantic romp, in the comedy smash David Sheehan of CBS-TV hails as "The ultimate chick-flick for guys!" This is my second time watching this movie since a good friend gave it to me a couple years ago. This is a really fun movie with lots of laughs. I enjoyed the whole storyline. Except maybe for the terrible singing towards the end of the movie. 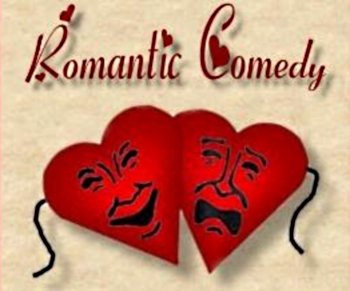 Anyone that enjoys a good Romantic Comedy should be sure to check this one out! You'll fall in love with While You Were Sleeping, the hit romantic comedy that woke everyone up to adorable Sandra Bullock (Speed, A Time To Kill). As Lucy, a lonely subway worker, she becomes smitten with a handsome stranger (Peter Gallagher – Malice). But when she saves his life after he's been mugged and fallen into a coma, his hilariously offbeat family mistakes her for his fiancée! Soon the mix-ups escalate as Lucy fabricates a life between herself and a man she's never met! And when Lucy falls for his charming brother (Bill Pullman – Independence Day), the situation really gets uproarious – as she's forced to make a choice between the two! I bought this one a whole back ago solely to add to my Sandra Bullock collection. I must say it is one of my favorites... One of the best romantic comedy roles I have seen her in. I enjoyed every minute of it. Bill Pullman was good in this movie as well. Not to mention it was a lot of fun watching Peter Boyle also. I definitely recommend this movie. Unfortunately the only extra on this release is some trailers. But at least it does have the Theatrical trailer (a pet peeve of mine). This is one I just recently bought off the recommendation of our good friend Tom. And I must thank him for this recommendation. I really enjoyed this movie. It didn't really have any laugh out loud moments. But it did have a great story. To me... this was a different kind of romantic comedy... as I haven't seen many at all about lesbian relationships. I thought the whole cast did a fine job... though it was a little weird to see Anthony Head as someone other then Giles from Buffy the Vampire Slayer. Anyway... I definitely recommend this movie. You've Got Mail delivers all the wit, charm and warmth you'd expect from a reunion of the stars (Tom Hanks, Meg Ryan) and director (Nora Ephron) of Sleepless In Seattle. Greg Kinnear, Parker Posey, Jean Stapleton and more talented co-stars add perfect support to this valentine to modern – to modem – romance in which superstore book chain magnate Hanks and cozy children's bookshop owner Ryan are anonymous email cyberpals who fall head-over-laptops in love, unaware they are combative business rivals. You've got rare Hollywood magic when You've Got Mail. This is one I haven't watched in quite some time. According to DVD Profiler I haven't watched it in 7 years. This is one that I enjoyed quite a bit. I think both Tom Hanks and Meg Ryan did a great job in this movie. I also got a kick out of seeing Jean Stapleton in something other then All in the Family. The story, while enjoyable, isn't a "ha-ha" type funny. More of a lighthearted look at a budding romance coming from the last place you would expect (for the character that is).